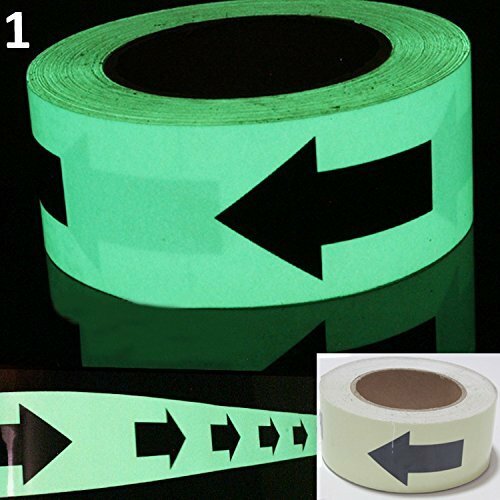 Natural glow in the dark, no need of power energy, energy conservation, environmental protection, bright warning labels can also beautify the environment effect; Also has the waterproof, sunscreen, strong corrosion, self-adhesive, etc; And avirulent insipidity, no radioactive elements; Construction is convenient and simple. Safety signs: Safety warning role stick on such as emergency evacuation passageway, the subway station, underground passage, karaoke bars, dance halls, cinemas, supermarkets, stores, hospitals, railway stations, airports, docks, etc. If you have any questions about this product by bearfire, contact us by completing and submitting the form below. If you are looking for a specif part number, please include it with your message.